In order for the factions of Phoenix Point to effectively fight the Pandoravirus (and each other), they require some serious hardware. The character team has been working to provide each faction with a number of different weapons. As Phoenix Point takes place in the near-future, after the Third World War, weapon technology has moved on from today. 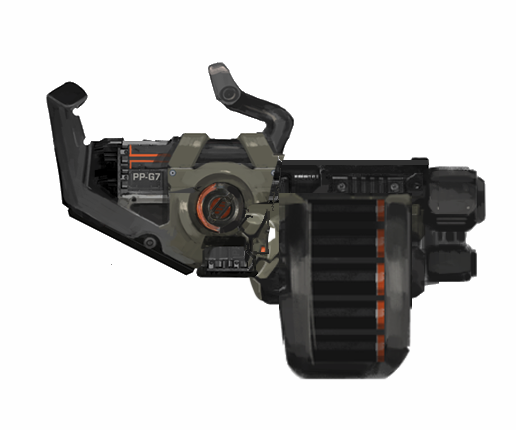 While many of the weapons in Phoenix Point are inspired by modern and real-world weaponry, everything within the game has a custom design. Initially the different factions use weaponry based on different technology. New Jericho for example, as you may have seen in the Backer Build, use Gauss-based weapons. The Phoenix Project on the other hand use more traditional ballistic-based equipment. Probably your most common and most used weapon - the trusty Assault Rifle. You can see how the concept image (above), sporting the Phoenix Project orange motif becomes a fully realised 3D model just waiting for textures (below). Previously, we have shown some images of a Phoenix Project shotgun. We really want every weapon in the game to look different and unique, while maintaining a uniformity of design for each faction. If you compare the Assault Rifle to the Shotgun you will notice many similarities. For each weapon, a number of different concept images are designed with variations that range from the subtle to the extreme. Sometimes a single design is chosen to be refined and have extra detail. Sometimes the most interesting parts from several different designs are chosen and put together to make a new concept. In the image above, you can see several different design concepts for the Phoenix Project Sniper Rifle. Once one has been selected, one of the 2D artists will further refine the design to add more detail (as seen below). Once again you will notice that this concept (and even the other variations which weren't selected) still share the same design style with the Assault Rifle and the Shotgun. Once the concept has details added and is signed-off and approved, it goes off to be modelled in 3D. From here the models go off to be textured and have materials added, using the concept art as a point of reference. 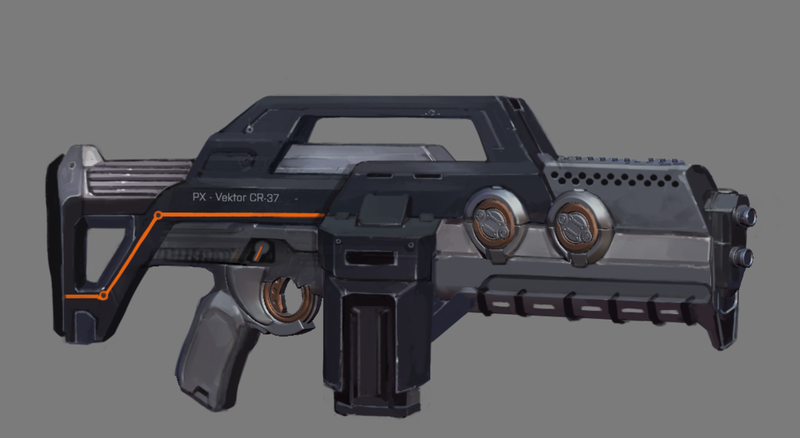 Above you can see the concept art for the Phoenix Project's Grenade Launcher, which is their equivalent for the New Jericho Missile Launcher. In the image below, you can see the 3D model, textured and lit, for comparison. There are also a number of other weapons for the Phoenix Project faction currently being worked on, in various stages of completion. Phoenix Point will also feature a number of other weapon types including melee. Below you can see some concept designs for the Phoenix Project's Stun Rod. That's all for this update. We will have some more interesting developments to share with you in the next update, but we're keeping it under wraps for now.